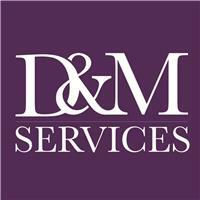 D & M Services - Painter/Decorator based in Fulham , London . D & M Services is a family run business based in Fulham, West London with customers all over London and surrounding areas, up to Milton Keynes. Our family have been decorating houses for over 20 years so we are sure to provide you with all your decorating needs whether the job be interior, exterior, residential or even commercial. We have a good knowledge of the best products on the market for your project, so rest assured you're in good hands. Give us a call today and no matter how big or small the job may be, we would be more than happy to help. Free quotations. All aspects of decorating covered. General Maintenance. Fully insured. No job is too small. Internal and external work taken.